Master 5 Photoshop tools to color, enhance and add light. Photos included to use as you follow along and learn. This course provides valuable lessons on how to use 5 awesome Photoshop tools that will allow you to; add light, enhance existing light, enhance and add color to your sunsets and sunrises, create lens leaks, add lens flare and much more. Included with this course are the images used in each lesson. Use them to follow along as you learn! This is a great way to increase the learning process. Plus, submit your practice files for feedback! First, you’ll learn about the 5 tools that are used throughout the course; Adjustment Layers, Adjustment Layer Masks, Curves, Levels & Gradients. Then, you will be able to confidently use them while watching the lessons. By the time you’re done with the course & practice files, you’ll be able to achieve the same look on your own photos. Each lighting effect is taught in bite-size, step-by-step lessons to better grasp each step of the process. You will also see how different Blend Modes effect the final results, how to use opacity, keyboard shortcuts and much more. A comprehensive resource file is included that has all of the keyboard shortcuts used throughout the lessons. And, each video will display the keyboard shortcut used at that time! Original price… $49. Now only $10! You’ll learn how to apply several stylized ways to apply light effects in Photoshop. You’ll learn how to use the curves tool, in Photoshop. You’ll learn how to use the levels tool, in Photoshop. You’ll learn how to use the Gradients tool, in Photoshop. You’ll learn how to use adjustment layers, to work non-destructively, in Photoshop. 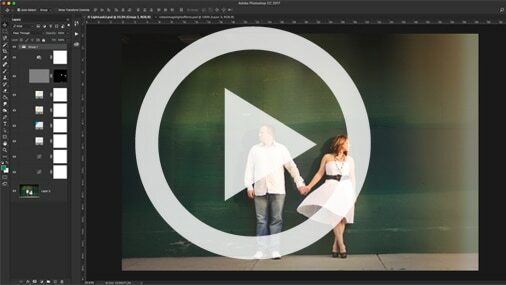 You’ll learn how to use adjustment layer masks, to precisely control your edits, in Photoshop. You’ll learn how to non-destructively add sharpening to your images. Once you’ve completed this course, you’ll have the confidence to use several Photoshop tools to apply lighting effects to your images. Limited time offer. Cancel anytime. Any files you download (presets, actions, etc.) are yours to keep – forever!